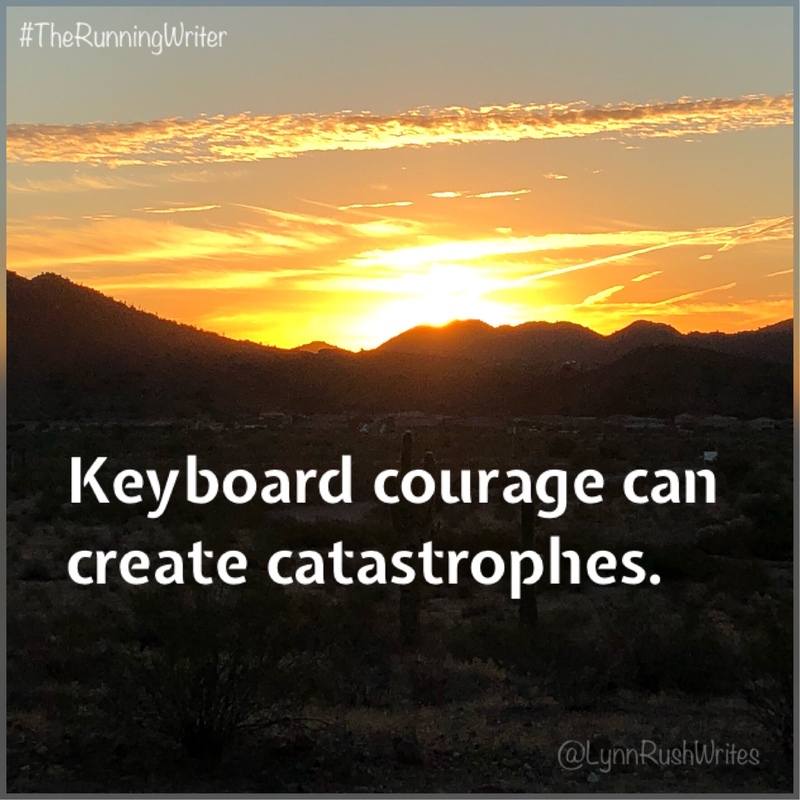 Keyboard courage can create catastrophes. Isn’t it amazing what we’ll type versus what we’ll say to someone face-to-face? In my opinion, keyboard courage is one of the most destructive things out there. Typing something to a person you can’t see detaches you from the moment, the emotion. Gives you an odd sense of empowerment almost. And that can create a cyber bully. Discussions and differences in opinions are natural. Engaging. But online, they can turn viscous with just a few ill-written, attacking keystrokes. Be the difference out there, my friends. Write uplifting and positive words, because they may be exactly what someone needs to read at that very moment.